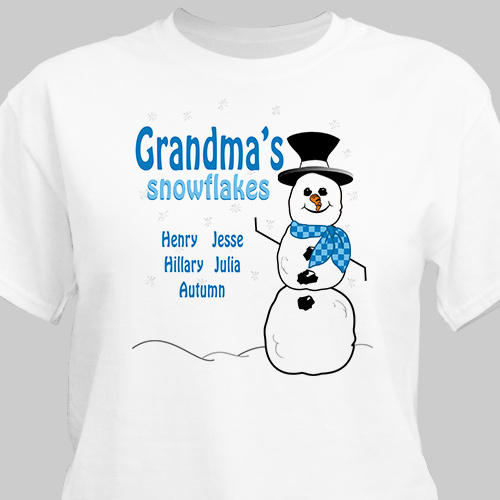 Let Grandma show off all of her special snowflakes with one of these wonderful Personalized T-Shirts. Snowflakes Personalized T-Shirts are printed on our 100% Cotton machine washable white shirt available in adult sizes S-3XL. Includes FREE Personalization! Personalized with any title and up to 30 Names.